December 7th, 2016: Deadline extended one more day for more auditions. A project for last Halloween that I've been considering making into an audiobook. I was going to do it all alone, but I can't do too much justice to the dialogue, so I'm looking for people to do character voices. Note that you will be required to scream if you are cast in this project. Mr. Giese is Els' father. He only speaks in chapter six. (answering) The golden cross on the chain? Els was holding it when we found her in here. She has it downstairs with her. Sister Akkerman is Father Akkerman's mother. She was a nun, but she died of nephritis when Father Akkerman was 18. She is concerned that her son isn't putting faith in God. At first, she is a figment of the demon's torture, but she appears later as herself as a spirit. (grieving) My dearest Kain, why do you torture me so? After all of these years, you’ve just been lying to yourself—to me. You keep pretending to love God, but you really don’t, do you? (shrill) Kain, stop pretending! People who lie to their mothers will rot in the depths of Hell! (gentle/loving) You tried, my son. I'm so proud of you. So very, very proud. Father De Witte is a priest known for his angelic aura. He has strong faith and is usually a gentle man, but as the exorcism wears on, he starts to crack, and is soon possessed by the demon himself. (praying/distracted) Christ, graciously hear us. Have mercy on us. (possessed/furious) You will never escape me. There is no undoing the damage I have done to this angel. I will get you in the end, and you shall follow me into the depths of Hell! Mrs. Giese is Els' mother. She appears in "Hell" with Akkerman and De Witte, and ends up becoming a part of the demon. (confused) I don't know what you're talking about. Giese? My name is Chantel Hirsch. I don't know anyone with the last name "Giese". (happy/emotional) Thank you, Father. Thank you so much. Els is the main victim of the demonic possession. Occassionally, she manages to break through, or at least, that's how the demon makes it seem. (possessed/cruel) You faithless old bag. Both of you are going to rot in Hell, like all of your family members are right now. (begging/in pain) Help me!! Mom! Dad!! Help!! Father Akkerman is a priest, but he never wanted to be. He doesn't believe in God, really. 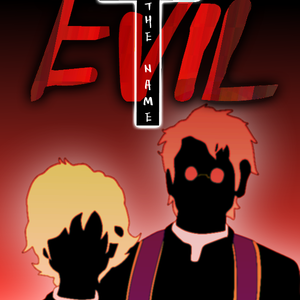 He was transferred out of New York to exorcise a demon from Els Giese because he was the only priest nearby the town that Els lives in to have ever successfully performed an exorcism. Despite his lack of faith, as the story progressess, he begins to have a change of heart. (demanding) Silence, demon! Christ commands you—you follow God’s orders! (in pain/begging/sobbing) Don't hurt Els. Please, don't hurt Els.